In case you haven’t been to my personal Twitter at all today, EA’s Star Wars team and Respawn Entertainment have officially dropped a teaser image and tagline for their upcoming game, Jedi Fallen Order. The image is in the header. The tagline? “Don’t stand out”. The story for Fallen Order will reportedly follow a Padawan survivor of Order 66, and take place somewhere between Revenge of the Sith and A New Hope. Fallen Order’s warning of a tagline is likely a reference to your player character fighting to keep their identity a secret in order to continue evading the Galactic Empire, who is likely still actively hunting down and eliminating any Jedi they can find who somehow escaped their initial purge. Having said all that, I’ve spent the better part of this afternoon zooming in and out on this promotional image, and I’ve got my own theories about the true story behind JFO. Long story short… I’m not totally convinced that ol’ Vince Zampella hasn’t been pulling our legs this whole time with the game’s premise. Could it be that Vince has been pulling our leg this whole time, and that the titular “fallen order” refers to Luke Skywalker’s new Jedi order? Will we get some Jedi Knight series characters and themes brought back into official Canon? Well… Probably not, but a wise scruffy-looking nerf herder once said “never tell me the odds”. Back when JFO was first announced, EA and Respawn mentioned that Stig Asmussen (game director of God of War III) was put in charge of the project. Whatever Jedi Fallen Order turns out to be, I’m truly looking forward to it. If there’s one thing Respawn taught me with Titanfall 2, it’s that they’re more than capable of putting together an emotional, cinematic, action-packed single player campaign, so here’s hoping that’s exactly what they give us when Star Wars Jedi: Fallen Order drops in Q4 later this year, just in time for Wookiee Life Day. 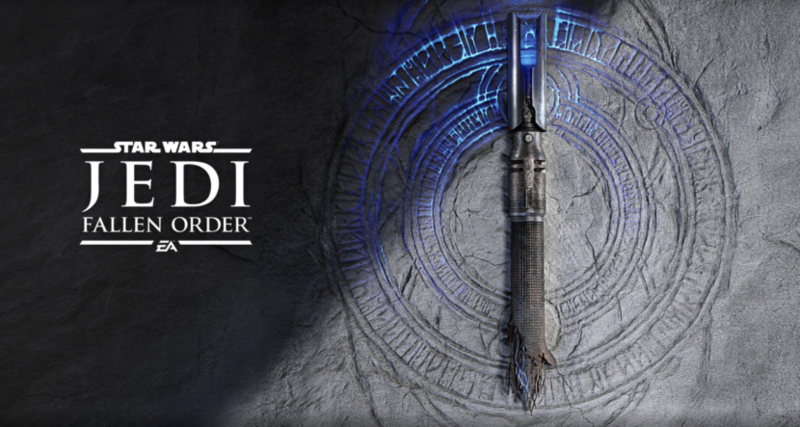 Everybody keep your fingers, deathsticks, and Padawan braids crossed – we’ll get our true first look at Jedi Fallen Order live from Star Wars Celebration this Saturday (4/13) at 2:30pm ET over at EA Star Wars’ Twitch page. What’re you hoping for most from this new game? Let us know in the comments or go yell at me on Twitter (info below).